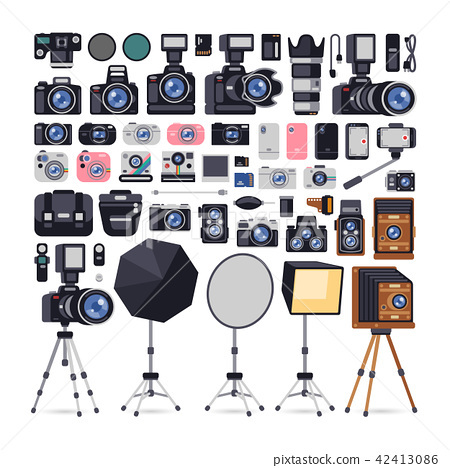 Big set of photographer equipment icons in flat style. Isolated on white background. Clipping paths included.